When Dorothy Lane Market (Dayton, OH) asked us for a custom bread to serve in their specialty food stores, we were happy to provide them with our own version of kouign-amann. Kouign-amann is a Breton cake. 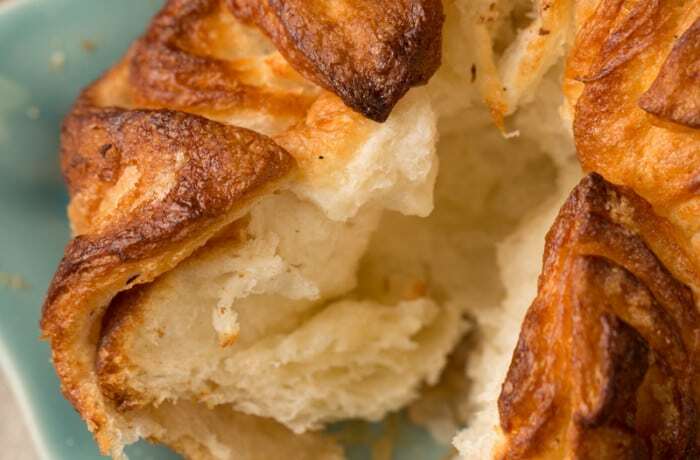 It is a round crusty cake, made with bread dough containing layers of butter and sugar folded in, similar in fashion to puff pastry albeit with fewer layers. If you haven’t tried it yet, be sure to! It will undoubtedly become your new favorite comfort food.